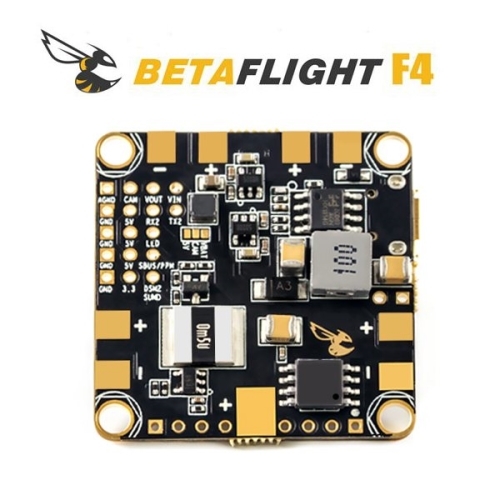 This F4 version of the Betaflight FC is an upgrade to the popular F3-based predecessor. The simple and clean footprint has been retained and a few adjustments made to incorporate end-user feedback and improve reliability. Primarily, the F303 processor has been replaced with an F405 unit for lower CPU usage. The 5.5V/3.3V jumper has been removed and two separate connection points have been added for SBUS and Spektrum users. A jumper remains for 5V/battery voltage for connecting your FPV camera. 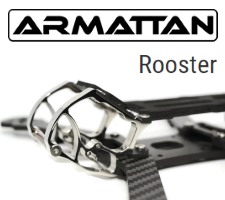 While wiring the board it is recommended to get power for your vtx either from a different 5v source on the board or if using a higher voltage vtx power it from the battery input coming into the pdb. Running ground loop at Agnd with gnd wires from camera and vtx is still recommended to give the cleanest video signal.